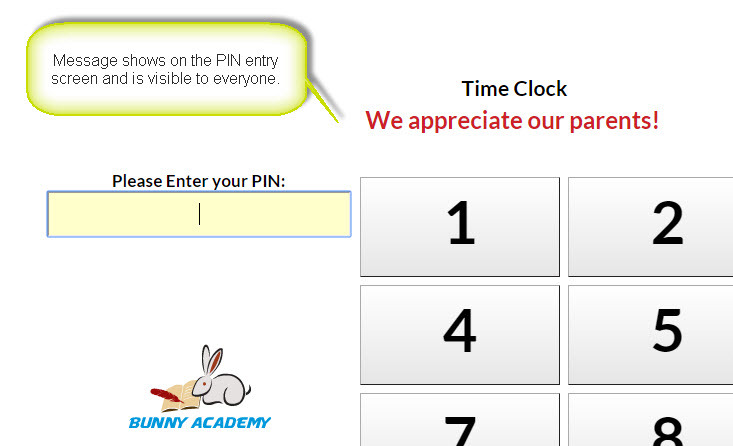 These are messages that display on your Clock PIN entry screen and are visible to all your Staff and Contacts that use the Clock. Scroll down to Time Clock Settings. Add a Clock Message to be seen by all.